The San Francisco NAACP is urging the city school board to declare a state of emergency to spotlight the city’s stark racial gap in student achievement. Despite several interventions designed to increase achievement among African-American students, the gap has lingered for more than 25 years, the San Francisco Chronicle reported. Although the city is one of the highest-scoring urban districts in the state overall, 74 percent of black students did not meet state standards in at least one subject area in the 2015–16 school year. African-American students represented 7 percent of the district’s students in 2015–16. More than half of Latino and Pacific Islander students in San Francisco also failed to meet the standards that year. 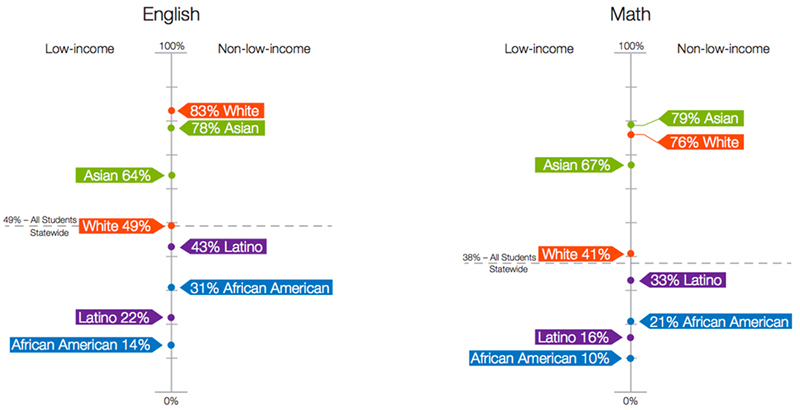 By contrast, only 14.6 percent of whites and 16 percent of Asian Americans did not reach the standards in one subject. 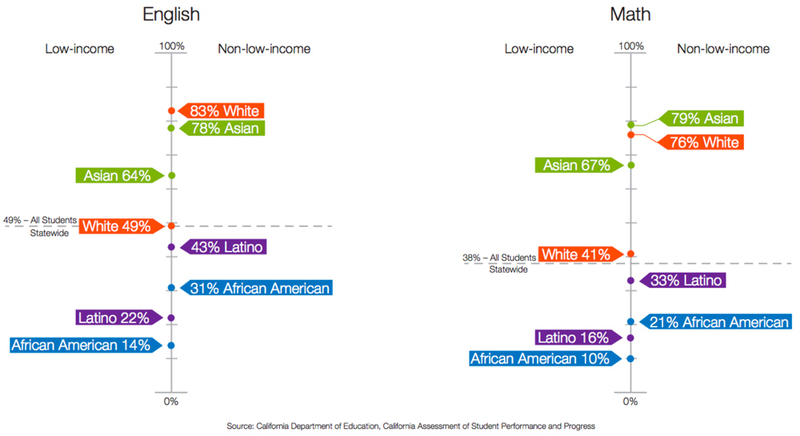 A recent analysis by Innovate Public Schools also showed wide racial disparities even among students who were not from low-income families. The NAACP’s request comes on the heels of a recent decision by the San Francisco Board of Education to deny a charter application for the high-performing charter network KIPP to open a new elementary school in one of the city’s poorest and most heavily African-American neighborhoods. KIPP leaders have said they will appeal the decision to the State Board of Education and hope to open the school in 2018, The 74 reported. The emergency declaration is a symbolic action intended to “trigger a more urgent response and infusion of district resources,” Calmatters.org, a nonprofit news site covering California politics, reported. This would not be the first time the NAACP has pressed the district to address long-standing racial disparities in San Francisco’s schools. In the 1970s, the civil rights organization sued the school district for alleged discrimination, resulting in a desegregation order. Those efforts halted in the early 2000s with a lawsuit brought by Chinese American parents. Superintendent Vincent Matthews also decried the city’s achievement gap and cited several reasons for it, including inexperienced teachers and high poverty rates among African Americans.